Worn between the bottom of your shorts and the top of your socks, leg warmers are favoured by experienced cyclists who find them less constricting than longs. Thermolite is a Lycra stretch-fit thermal fabric with a soft-brushed lining so its warmer and more insulating than standard Nylon/Lycra. Thermolite' high-wicking properties help to maintain a comfortable microclimate close to the body, thus reducing both chilling and overheating. 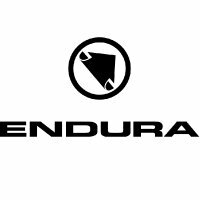 Endura Thermolite Legwarmers are great for rides when you are not quite sure what the weather will be like - wear them at the start of the ride then slip 'em off once you warm up and pop them into your jersey's back pocket. Silicone gripper elastic at thigh and ankle keep Endura Thermolite Legwarmers in place.